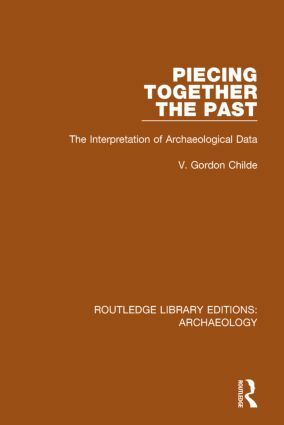 Originally published in 1956, this concise book brought together wisdom from V. Gordon Childe based upon 10 years of his lectures on the principles of archaeological classification, terminology and interpretive concepts. It examines meanings of technical terms and methodologies used in prehistoric archaeology, for those new to the area. Preface 1. What is Archaeology About? 2. How Young is Archaeology? 3. What is ‘The Archaeological Record’? 4. What Was it For? 5. When Was it Made? 6. How Long Ago Did That Happen? 7. Who Did It? 8. What Happens in Prehistory? 9. What is the Good of Archaeology?